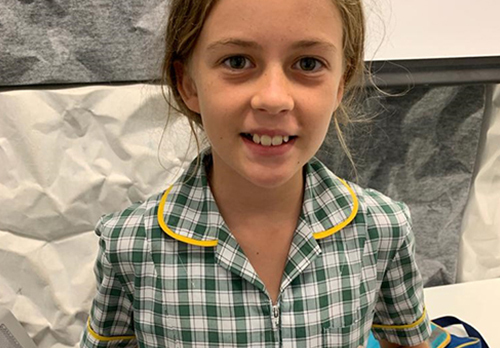 At Kumon we place great value on the ability to study independently and encourage students to discover how to solve problems for themselves without asking for the answer. Through doing exercises on their own, students gain confidence in their studies and develop the desire to advance further. At Kumon, Instructors do not teach students in a uniform manner. Instead, students carefully read the explanations on our worksheets and try doing the exercises on their own. When each child is given worksheets appropriate to his or her ability, concentration can be improved by doing a certain number of worksheets in one sitting. Students feel a sense of achievement, which motivates them to keep progressing to more advanced worksheets. When students get stuck in certain areas of the worksheets, or take a long time to complete their study, they repeat as necessary, which helps them to master the content and move on to the next step. Kumon worksheets have been constructed in a manner that enables students to progress in small steps from easy to difficult material. For example, explanations and examples are included with new exercises in the introductory sections in order to enable students to do the worksheets independently and advance to higher levels of study without difficulty. 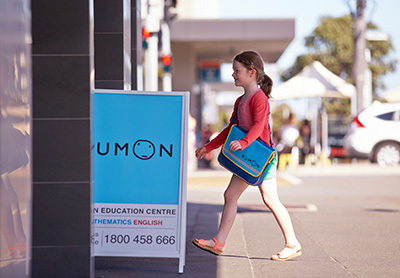 Kumon Instructors place great importance on children developing the ability to comprehend the learning focus at hand and find solutions and answers on their own. Therefore, students are not quickly given answers when they approach the Instructors with questions. Instead, Instructors carefully guide the students in a way that enables them to be aware of the focal point and solve problems by themselves. Kumon believes that it is very important for children to study content beyond their current school grade level as soon as possible. Helping students advance toward senior high school level study while still in elementary school or junior high school is an important goal. Through advancing beyond their grade level, Kumon students greatly develop their academic ability, which affords them a lot of leeway in their future studies. This in turn gives students more confidence and encourages them to pursue their full potential. Equipped with the ability to study proactively, Kumon students can better pursue their goals and aspirations. Kumon’s foremost goal is for each and every one of our students to use their newfound abilities to create bright futures for themselves and for society.